Even though vinyl is cheaper than rubber, it is able to withstand very high temperatures. This makes it a cost-efficient solution for many industrial companies who need quality components that fit within the limits of their budget. Besides the benefits mentioned above, vinyl is highly resistant to chemicals. This quality makes vinyl caps uniquely suited to applications where harsh chemicals are present. Vinyl can be dyed in a variety of vibrant colors to make it stand out or to blend in with the product that the cap is being used for. The molding process used to create a vinyl cap is very simple, so engineers can usually create a cap of any length without incurring significant additional costs. 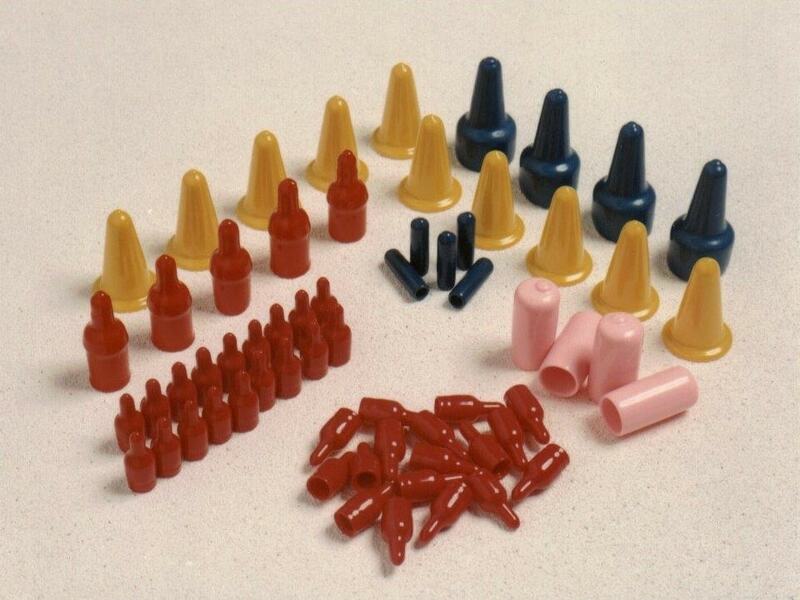 A vinyl dip molding process yields flexible PVC caps based on the manufacturers exact specifications where everything from wall thickness to hardness is customizable. Unlike other materials, the properties of vinyl can vary greatly based on the desired qualities and production process. 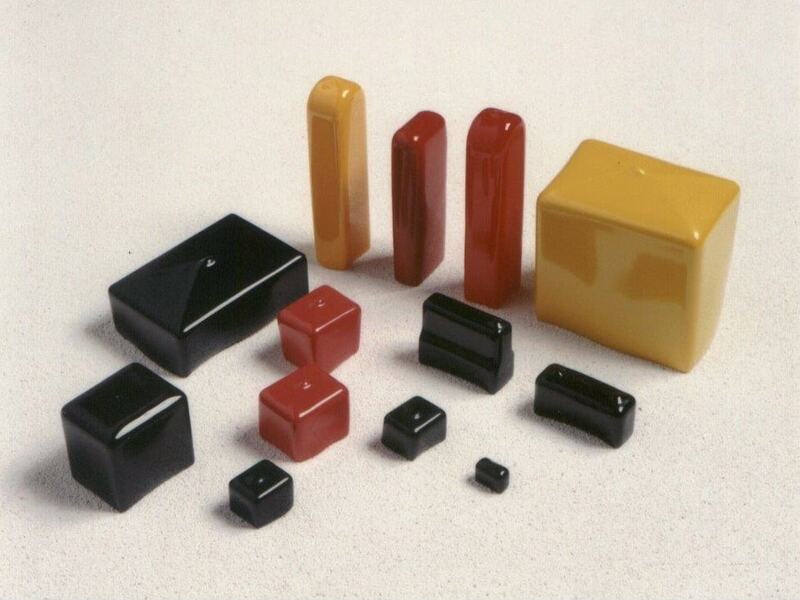 Vinyl dip molding is an inexpensive and accurate manufacturing process. The process begins by dipping a heated mandrel into a liquid polymer solution. When the mandrel is dipped, the heat causes that surrounding plastisol to form around the mold. Once the mandrel is removed from the dip, it is heated again to cause the plastisol to fuse. After this is complete, the material is given time to cool. At this point, the vinyl has reached a chemical state where it will never liquefy again. To achieve a greater wall thickness, the mandrel is heated to greater temperatures before dipping and left in the plastisol solution for a longer amount of time. Precisely controlled ovens, dip speeds and dip times help to regulate this process and make it possible for manufacturers to mass produce high quality vinyl caps as efficiently as possible. Vinyl Caps Vinyl is a very flexible material, so when it is used to make a cap or plug it creates an excellent airtight seal that will not crack or shed like hard plastic caps. When installed in threaded applications, vinyl caps will not leave residue that could contaminate the contents of a pipe or container.